Please use the contact form below to send us your comments and/or questions. I'd like to make a donation right now. West Hawaii Dance Theatre is a 501(c)(3) Non-Profit Educational Arts Organization and is sponsored in part by the Hawaii State Foundation on Culture & the Arts, Hawaii Community Foundation, Atherton Family Foundation, Hawaii Tug & Barge, Vance Wall Foundation, Ironman Foundation, Macy’s and our local businesses and families. Please selected which date(s) you would like to attend. Jamy Woodbury received his formal training with Denver-based Cleo Parker Robinson dance ensemble, where he trained extensively in such forms as Graham Norton and Dunham intermixed with a rigorous schedule of ballet. Seeking to broaden his classical understanding, Jamy did a year stint with the Boston Ballet. In 1987 Jamy move to Los Angeles California where he based his career for 16 years. His work can be seen on: the Academy Awards ’91, ’92, ’94, ’95, and ’99, the American Music Awards ’88 and ’96, Showgirls, Salsa, Dirty Dancing, and numerous other television and film projects. He has also worked with such artists as Prince, Cher, Gloria Estefan, Paula Abdul, Twilight, Donald Mckayle, Vince Patterson, and Britney Spears. Woodbury’s choreography has appeared on the stage of The Kennedy Center in Washington D.C., The Geffen Playhouse in Westwood, California, the Houston Grand Opera, and the Maui Arts and Cultural Center. Jamy Woodbury lives on Maui where he teaches at Maui Academy of Performing Arts and Wisdom Flow Studio. Since living on Maui, Jamy has choreographed several shows at the Maui Arts and Cultural Center. Miho Morinoue is an acclaimed dancer and a visual artist. As a member of the Complexions Contemporary Ballet Company she performed extensively in the United States and Europe. As a visual artist, she collaborated on numerous projects, designing costumes and setting ballets for Complexions, the Alvin Ailey American Dance Theater, Oakland Ballet, Philadelphia Ballet and many others. She has shown her paintings in Hawaii, New York and Seattle. A Mauka Lani Graduate, Marina began training with WHDT when she was 5. Ms. Terwilliger went on to become Miss Kona Coffee 2002, attended UH Manoa as a Dance Major for 2 years, and returns to the Big Island of Hawaii after pursuing a commercial print modeling career in New York City. 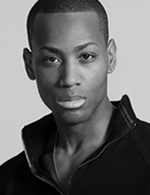 Fredrick Davis studied at the prestigious Joffrey Ballet School. He attended summer intensives at American Ballet Theatre, Boston Ballet, and North Carolina Dance Theatre. He danced with the Roxey Ballet Company in New Jersey and eventually Dance Theatre of Harlem. While at Dance Theatre of Harlem, Davis danced in many roles including the male lead in New Bach, the Pas de Deux from Act III of Swan Lake, in Robert Garland’s Return, in George Balanchine’s Agon and Alvin Ailey’s The Lark Ascending. He performed Agon and The Lark Ascending with Dance Theatre of Harlem at Jacob’s Pillow Dance. After leaving Dance Theatre of Harlem in 2015, Davis participated in a Dance for America tour, was a featured artist with Dallas Black Dance Theatre, danced at the Kennedy Center Honors in Washington, D.C., danced in the Donald McKayle Tribute in Irvine, California, and danced for the Indiana Ballet Theatre. As a freelance artist, he has also performed with various ballet companies including Roanoke Ballet Theatre, Greensboro Ballet, San Antonio Metropolitan Ballet, and Dissonance Dance Theater. He is a principal guest artist at Ballet Tennessee and at Ballet Tucson. Davis returns to Chattanooga every summer as a guest artist in the Dance Alive program that first inspired his love of dance. He is featured in the film, From the Streets to the Stage: The Journey of Fredrick Davis. The documentary was created by Ann Cater of PBS and was filmed by the Emmy Award-winning crew from WTCI. Shaina Leibson has had an over fifteen-year career as a professional ballet dancer. She has been a dancer with several companies including Alberta Ballet, Ballet Austin, and Ballet San Jose where she performed for eight years. Shaina was a soloist dancer with Ballett im Revier in Germany and spent five seasons as a Principal Dancer with Bay Pointe Ballet which was based in the San Francisco area. Shaina received her ballet training from the renowned San Francisco Ballet School. Shaina has performed throughout Europe, toured to Saint Petersburg Russia, and performed on an eight-city tour through China. Shaina has been featured in many ballets. Some of her principal roles have included the Sugar Plum Fairy, Swanilda in Bruce Steivel’s Coppelia, Lucy in Dracula, and Wendy in Peter Pan. Another repertoire Shaina has performed has been numerous works by George Balanchine, Christopher Wheeldon, Frederick Ashton, and Anthony Tudor. Shaina has performed in many full-length ballets such as Swan Lake, Romeo and Juliet, and Giselle. While in Germany Shaina performed original creations by Bridget Briner, Cathy Marston, and Jiri Bubenicek. Shaina attributes the longevity of her ballet career to her active interest in body mechanics. She is currently a certified GYROTONIC® Instructor at Urban Body San Jose where she has the privilege to not only cross train young and professional dancers but work with all people interested in mindful movement. Shaina has been teaching ballet technique for over a decade and is known in the industry for her detailed understanding of body alignment. Timour began his professional education with the Moldavian Opera House and the Bolshoi Ballet. Upon coming to America he danced with the Pennsylvania Ballet, New Jersey Ballet, and the New York-based Daring Project. 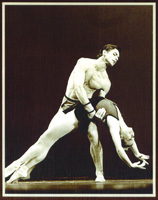 In 1998, Mr. Bourtasenkov joined Carolina Ballet as a Principal dancer and founding member of the company. Mr. Bourtasenkov has choreographed works for Carolina Ballet, Infinity Ballet, New Jersey Ballet and most recently, the New York Choreographic Institute, using New York City Ballet members. His ballets include Light and Dark, sections of Messiah, Rag House, Elements, Memories, Visions, Intrigue, Dance of the Spirits, Fallen Dreams and Tango! Tango! Tango! Mr. Bourtasenkov won the Bronze Medal in the VII Massako Ohyo World Ballet Competition of Osaka, Japan and the V International Competition of Paris, France. He was awarded a jury prize at the 2nd Luxembourg International Ballet Competition. Mr. Bourtasenkov has appeared in two USSR movies: The Long Way and The Magic Star. In 1996, he filmed Little Red Ridinghood, directed by Davis Koplan and choreographed by Elena Tchernichova. In 1996, Mr. Bourtasenkov became the Artistic Advisor of Infinity Ballet and in 2005 he was named the Artistic Director of Carolina Performing Arts Center in Pinehurst, North Carolina. 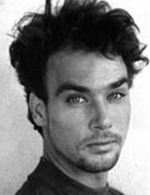 Called “one of San Francisco’s leading dance teachers”, Henry Berg has, according to the San Francisco Chronicle, “carved a strong artistic niche as a teacher”. With a career that spans over three decades in dance, film, television, theatre, and academia, Mr. Berg has established himself as one of the foremost dance teachers in the country. His guest teaching engagements now include annual seminars for the Boston Ballet, the Academia Anna Pavlova in Bogata, Columbia, Joffrey Ballet, Dance Educators of America, Oregon Dance Academy, and the Village Dance Arts in Los Angeles. Mr. Berg traveled to Japan where he taught seminars in Tokyo and Nagoya, staging “American Ballet Selections” in 1994 for several companies there. Mr. Berg began his dance career in Hollywood, California, appearing in such films as “State Fair”, “How The West Was Won”, and “Babes In Toyland”. In 1962, he joined the San Francisco Ballet. Subsequently, he danced for over seven years with the Joffrey Ballet and assisted choreographer Twyla Tharp in New York City. In 1975, Mr. Berg created the Pacific Ballet Company with co-founders John Pasqualetti and Sue Loyd. He also joined the faculty of the San Francisco Ballet. The list of directors, dancers, and choreographers Mr. Berg has worked with include: George Balanchine, Robert Joffrey, Gerald Arpino, Lew Christensen, Ann Sokolov, Kurt Joos, Jon Hart, and Margaret Jenkins. Additionally, he has worked with skaters John Curry and Peggy Fleming, cartoonist Charles Schultz, and has appeared on the Ed Sullivan Show. Alaine Haubert, a fourth generation Californian, has the unique distinction of having been associated with America’s three major companies. 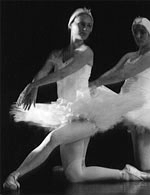 She received her training from age fifteen at the School of American Ballet in New York City where she studied with George Balanchine and his illustrious post-Diaghilev faculty. After graduation from high school, she performed with San Francisco’s Pacific Ballet and then joined the national touring company of Camelot. In 1965, after a year on the road with Camelot, Alaine joined American Ballet Theatre, where she performed corps de ballet, soloist and principal roles. She was coached, during this period by such diverse and exciting choreographers as Tudor, DeMille, Robbins, Feld, Culberg, Lander, and Tetley, and also danced the classics. In 1969 Alaine joined the Joffrey Ballet as a principal dancer performing leading roles in many ballets including The Green Table, The Dream, Feast of Ashes, The Moor’s Pavane, The Still Point, The Three-Cornered Hat, Cakewalk and Le Bleu Danube. After nearly a decade with the Joffrey Ballet, a serious back injury ended Alaine’s performing career, and she began teaching and coaching in such wide-ranging locations as Europe, Japan, Canada, the USA, and the Caribbean. In 1986 Alaine moved to Hawaii where she was on the faculty at the University of Hawaii for seven years. In 1993, Alaine was invited by Kevin McKenzie to return to New York as Ballet Mistress for American Ballet Theatre, where she instructed, coached, and rehearsed the world’s leading dancers for four years. Alaine now makes her home in California where she was on the faculty at California State, Long Beach for six years. She continues her association with ABT and annually travels the U.S. auditioning dancers for ABT programs. She has been the Artistic Director of various Summer Intensive programs. 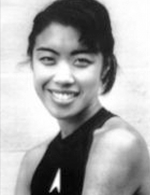 In spring 2002 Alaine had the honor of adjudicating the Pacific Region for Regional Dance America (RDA) and in 2003 was an adjudicator for the Southwest Region. Alaine now continues to travel worldwide, offering master classes and workshops and scouting for future ballet professionals. Leo Ahonen was accepted to the Ballet Academy of the National Opera House in Helsinki Finland at the age of six. He joined the National Ballet of Finland at the age of 14, and at age 17 guest performed with the Kirov Ballet in Leningrad and the Bolshoi Ballet in Moscow. At the famed Vaganova Choreographic Institute in Leningrad, Mr. Ahonen became a private student of Mr. Konstantin Shatilov and received the “Kirov Trained” Certificate at graduation. Mr. Ahonen won a Bronze Medal in the Men’s Senior category at the Second International Ballet Competition in Varna, Bulgaria. He was a principal dancer and company teacher for the National Ballet of Holland, Royal Winnipeg Ballet, and the National Ballet of Finland. With his wife Soili Arvola, he danced as a principal dancer with the San Francisco Ballet and was hailed by critics as The Flying Finn, West Coast Nureyev, and the Fantastic Finn. Soili Arvola was accepted to the Ballet Academy of the National Opera House in Helsinki Finland at the age of eight. After graduating from the Academy at age 17, she was invited to join the National Ballet of Finland, touring with the company around the world. Among her numerous honors, Ms. Arvola won a Bronze Medal and Diploma for High Artistic Achievement in Women’s Senior (Professional) Category at the prestigious International Ballet Competition in Varna, Bulgaria. She has appeared as a guest ballerina with the Finnish National Ballet, Royal Winnipeg Ballet, Chicago Ballet, Houston Ballet, London’s Royal Ballet Choreographic Group, Indianapolis Ballet Theatre, Ballet international de Ochi of Japan, and with many symphony orchestras, opera companies, and civic ballet companies throughout the U.S. and abroad. Ms. Arvola has performed as Odette/Odile in Swan Lake, Princess Aurora in Sleeping Beauty, the title roles in Giselle and Cinderella, Swanhilda in Coppelia Kitri in Don Quixote and many others.